The Foundations of Utility and Risk Conference 2018 (FUR 2018) invites abstracts (of less than 3000 characters) for presentations and posters on any topic related to risk, and, more generally, decision theory. We want to make FUR 2018 as interdisciplinary as possible and therefore welcome submissions in economics, psychology, philosophy, sociology and other disciplines. Experimental papers are welcome in all fields, as well as those using neuroscience and the analysis of big data to shed light on human decision-making. The FUR 2018 conference will be held at the University of York, UK, from the 25th of June to the 28th of June 2018. 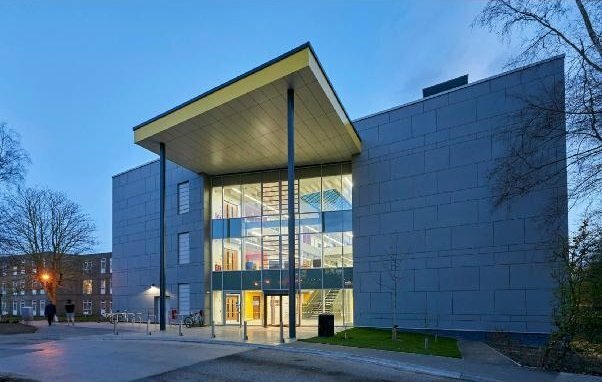 The conference will be hosted by the Department of Economics and EXEC, the Centre for Experimental Economics, at the University of York, and will be held in the Spring Lane Building of the University of York. The Plenary Speakers and the Round Table organisers can be found on this site. Please note that the submissions page is very unforgiving: you need to fill in every item, particularly the ‘Submission Type’, before it will accept your submission. Otherwise it will just return to a blank form or, worse, send you a silly message. If you have any problems, just send a message to either john.hey@york.ac.uk or fur-2018@york.ac.uk giving the information that the submission form requires. The first round of submissions has closed; we have already communicated our decisions on this first round. There will be two further rounds of submissions. The second round of submissions will open on the 21st of March 2018 and close on the 1st of May 2018; decisions on this second round will be communicated by the 7th of May 2018. The third round of submissions will open on the 8th of May 2018 and close on the 21st of May 2018; decisions on this third round will be communicated by the 31st of May 2018. We have just heard from our Registration agency, Mosaic, that they have agreements with the Travelodge, Staycity, the Hilton, Hotel 53 and the Park Inn to hold rooms for conference participants until the 10th of May. You should register before then if you want to take advantage of these pre-blocked rooms. Details are in the Accommodation part of this site. Questions about submissions can be addressed to the Conference Committee at fur-2018@york.ac.uk. You can submit your paper by clicking here. Decisions for each round of submissions will be communicated on the dates indicated above. If a submission is rejected on one round, it will be automatically considered in future rounds. You are encouraged to submit early. The regular registration deadline is the 14th of May, 2018, though you are encouraged to register before the 10th of May so you can take advantage of the block bookings of hotel rooms by our Registration agency, Mosaic. Fees are £300 (full) and £200 (student) on or before the 14th of May, and £400 (full) and £300 (student) after the 14th of May 2018. As in the past, papers accepted at the FUR conference qualify for submission to a Special Issue of Theory and Decision. We plan to invite submissions after the conference.